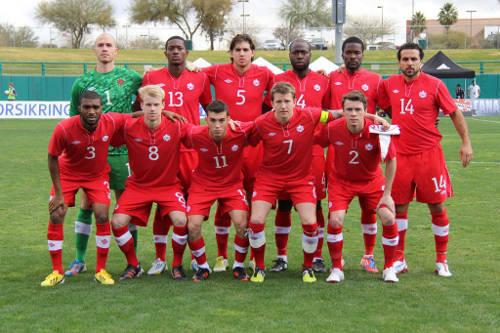 Photo: The Canada 2013 Gold Cup team. 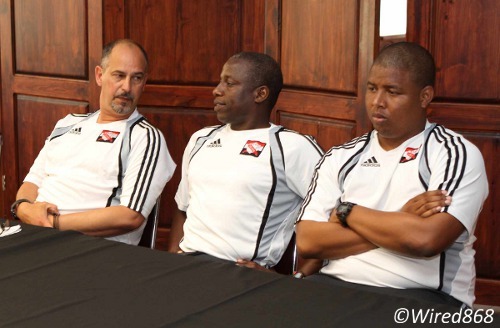 Photo: Trinidad and Tobago head coach Stephen Hart (left) with assistants Hutson “Barber” Charles (centre) and Derek King at his first press conference. 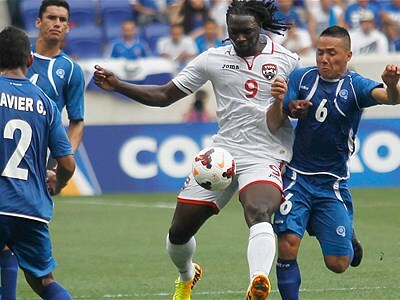 Photo: Trinidad and Tobago forward Kenwyne Jones takes on the El Salvador defence during the 2013 Gold Cup. 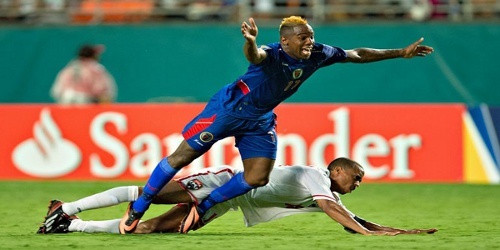 Photo: The Trinidad and Tobago senior national football team warms up at the 2013 CONCACAF Gold Cup. 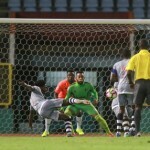 Photo: Trinidad and Tobago captain Densill Theobald (bottom) manages to check Haiti striker Jean Maurice’s progress during the 2013 Gold Cup. 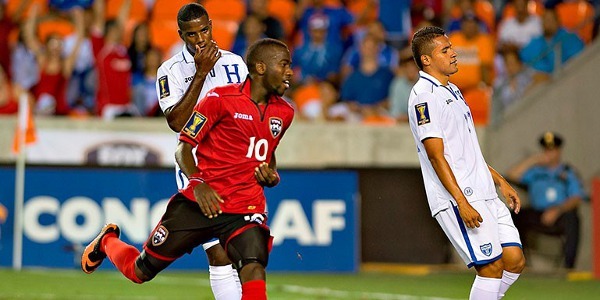 Photo: Trinidad and Tobago celebrates its first Gold Cup win in 13 years against Honduras. 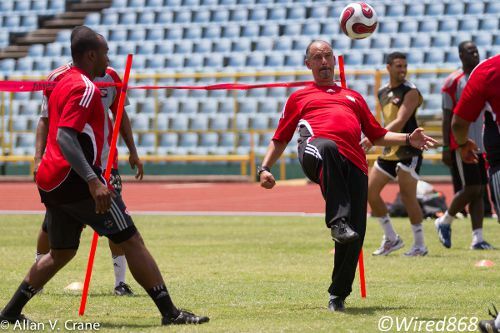 Photo: Trinidad and Tobago coach Stephen Hart (centre) shows off his skills at national practice. 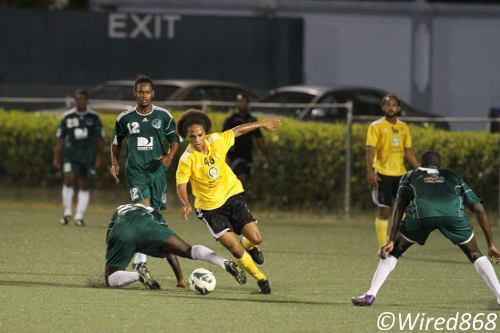 Photo: Teenaged playmaker Nathaniel Garcia (centre) dances through a crowd of W Connection players. 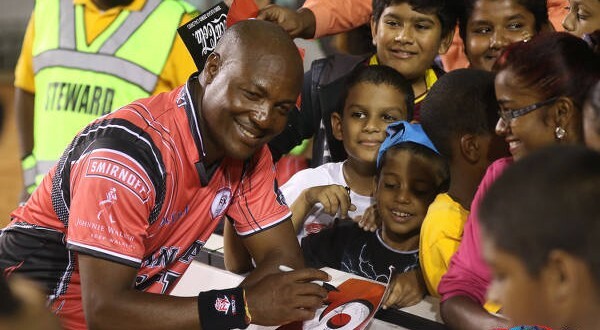 W Connection and Central FC wanted Garcia but he chose Shiva Boys instead. 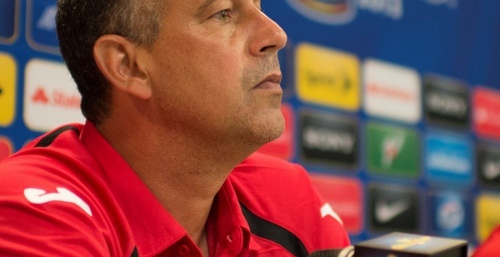 Stephen Hart was Canada coach at the time. 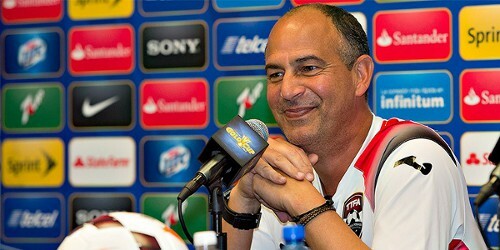 Photo: Trinidad and Tobago coach Stephen Hart says he is thrilled to be home. 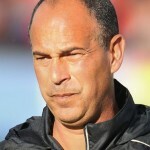 Editor’s Note: Click here to read Part One of our two part series on Trinidad and Tobago football coach Stephen Hart. 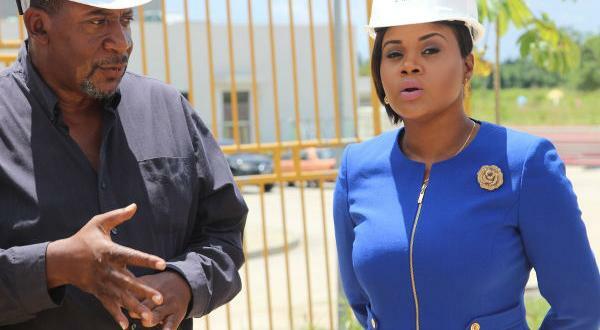 Very interesting interview. 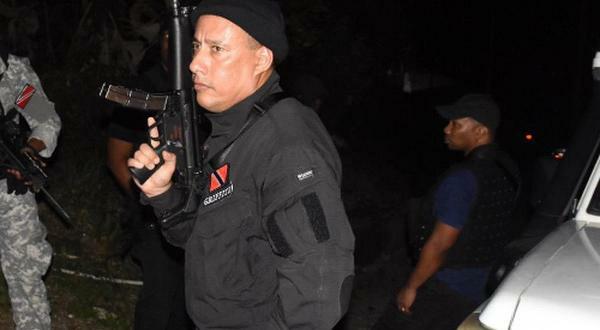 I am one who viewed the pre-gold cup changes with some concern, but I think he deserves a chance.